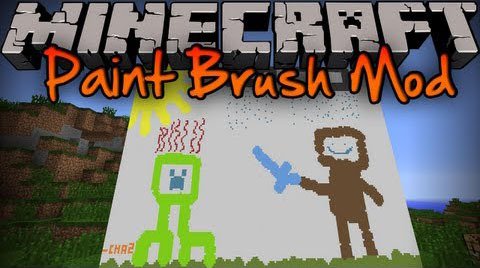 Paintbrush Mod is an amazing decoration mod that will make your Minecraft world more colorful by enabling you to paint on blocks. There are 2 different items, the paintbrush and the paint scraper. There are also 12 different colors of the paintbrush. you can just right-click on a block with the paintbrush to paint on it. You can change the size by holding shift and scrolling. The same goes for the paint scraper. There are no recipes yet.